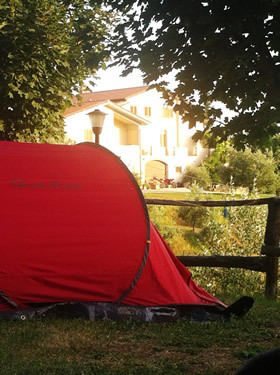 The Val di Pieve agri-campsite offers fans of open air tourism the possibility of stopping for one or more days to discover the artistic and natural beauties of our valley, including the passion of living in freedom in direct contact with nature and the possibility of admiring Anghiari and the surrounding villages rich in art and history. 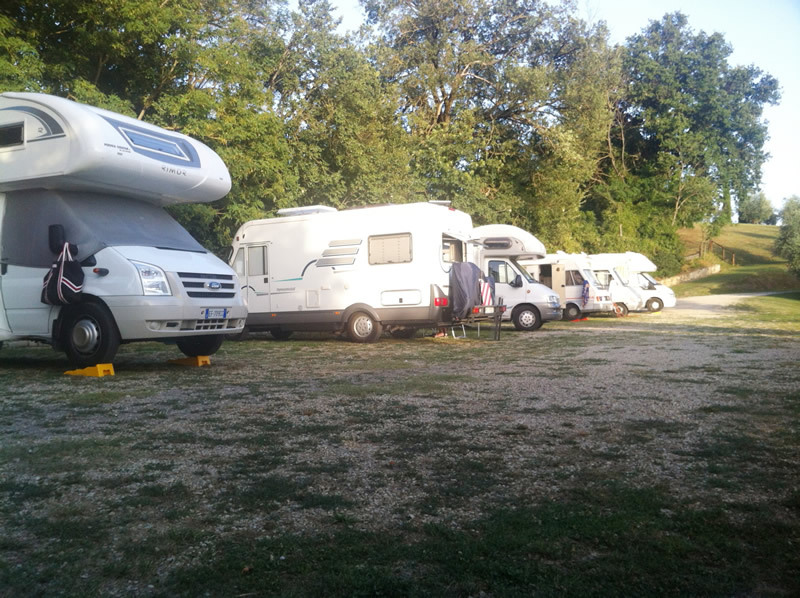 The agri-campsite is only 500 m from the center of Anghiari; with a five-minute walk, you can reach all of the various services: minimarket, bar, pharmacy, restaurants, newsstands, etc. 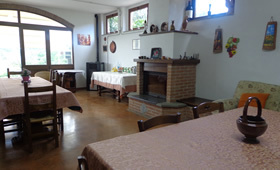 The bus stop just three hundred meters away gives you the possibility of reaching Sansepolcro, Città di Castello, Arezzo and connections with the most beautiful Tuscan and Umbrian cities in the vicinity: Florence, Perugia, and Siena. Also just 300 m away is the community park where children can play freely under the shade of the trees. 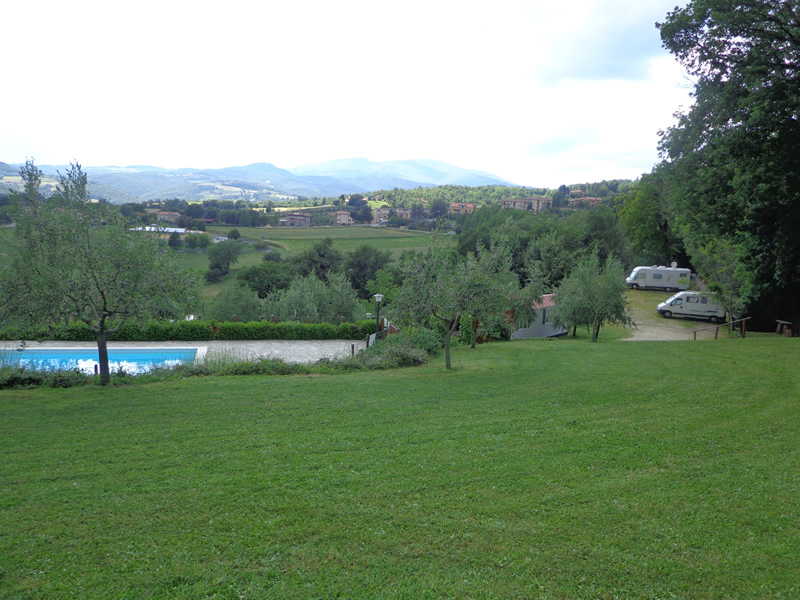 The ten sites, well-illuminated at night, are located on a large natural terrace with a wonderful view of the Val Sovara. The olive grove, forest and small lake that surround the agri-campsite offer interesting strolls and sightings of geese, ducks, chickens and rabbits; at the pond, guests can fish for carp and eels. 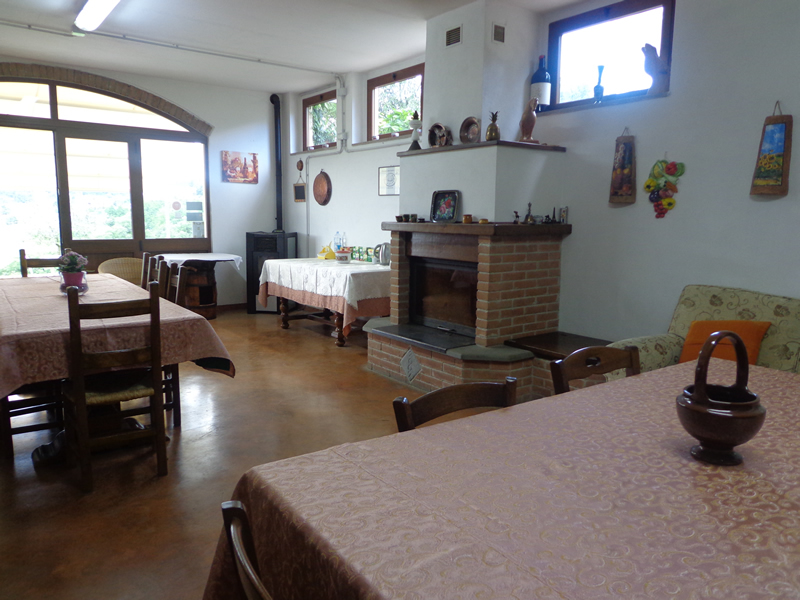 During the winter we make available a large sitting room with fireplace, tables and chairs, able to host approximately 25 people. 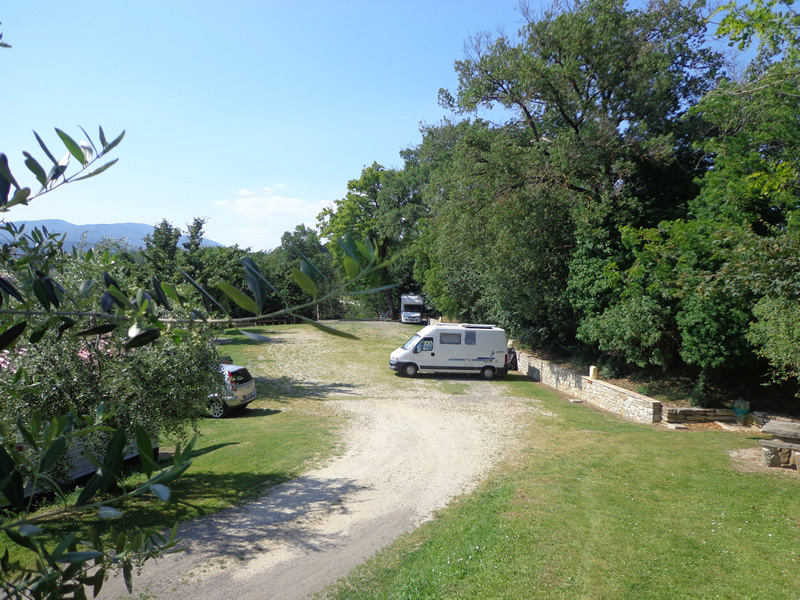 During summer you may relax in the large pool with Jacuzzi, that overlooks the olive grove; below the pool are two bathrooms, two showers and two sinks where you may wash dishes and clothes, all equipped with hot water also for the winter. 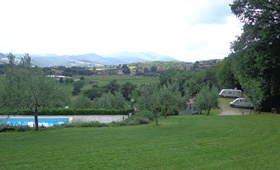 Children can run freely on the large lawn, swing and slide. 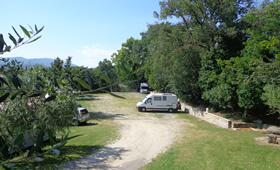 All of the "services" described for the agritourism lodge are also available to our agri-campsite guests. 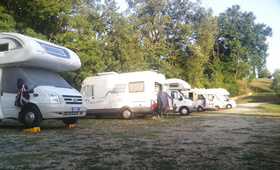 Pets are welcome; please keep the agri-campsite clean. The use and price of the salon will be agreed at the time of reservation according to the use and availability.